A big technological advancement for tires has been run flat technology. What this means is some models are engineered to run at zero tire pressure. Now it’s important to keep in mind that in these cases you will only have limited mileage and can only go up to certain speeds, usually 60 miles and 60 miles per hour respectively. Therefore, it’s important to note that while this can save you money on flat tire repair cost, if you have to use this it will be a temporary option. There are many models of these available from the top brands including Dunlop run flat tires and Continental run flat tires. When shopping for these parts it’s important to compare brands as this is a great way to learn more about each and how they stack up to the competition. Some of the best run flat tires come from Bridgestone. Bridgestone run flat tires come in a wide variety of sizes to fit most vehicles. Further, they have models specifically engineered for tough conditions like winter weather thereby giving drivers the handling and safety they need when driving over slick surfaces. When reviewing Bridgestone run flat tires there were several benefits that seemed to sum up all their product offerings. For one, drivers can expect to receive superior performance from these tires on wet surfaces. They accomplish this by making them with the best and most durable materials such as high silica content. This can give consumers peace of mind in knowing that their tires will be able to adapt to different surface conditions. Meanwhile, the biggest drawback Bridgestone run flat tires have according to consumers is their durability as some times the tread will wear thin quickly. With that said, each person’s experience is going to be different as tread wear depends on many factors including driving style and road conditions. 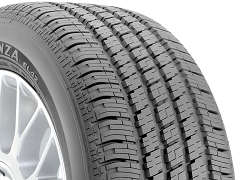 When reviewing everything, the conclusion is Bridgestone run flat tires are excellent products for drivers to buy. The tires are versatile, meaning they will be able to handle changing road conditions while providing you with excellent handling. Additionally, the run flat technology will help keep you going even when your tire pressure reaches zero. Ultimately, drivers can feel confident in knowing they are selecting a good product from a reputable manufacturer.